Any woman that has had a baby will tell you that the morning sickness is excruciating during pregnancy. One minute you are celebrating your newfound pregnant-ness and the next, you have your head in the toilet, retching your guts away, begging for mercy. It’s a cold, hard life being a pregnant woman but someone’s gotta do it! One thing that might help you through this difficult time is a few all-natural remedies for morning sickness. If you have ever been pregnant than you will now finding a form of medication that you CAN actually take is hard work, so the more natural stuff, the better! You should never underestimate the importance of herbal tea during pregnancy. 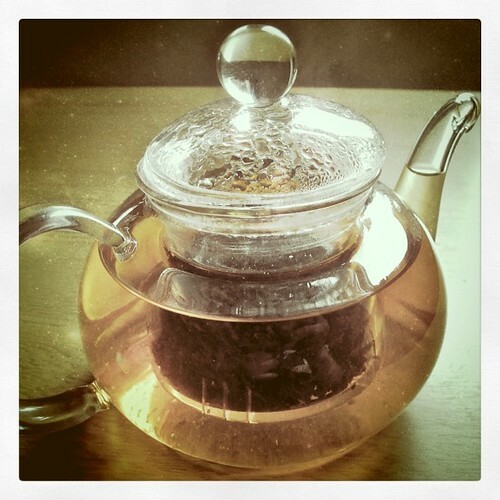 There is something about those teas that just seem to work and for morning sickness, there is no better cute. You need to make sure that you are drinking enough to keep yourself hydrated and this can be hard work when you are bringing what feels like everything back up. The herbal teas taste good, keep you hydrated, and also give you healing properties that many women have found great uses for. Ginger tea, for example, is a perfect home remedy for morning sickness. On fact, ginger in general has proved to be one of the most popular remedies. All it takes is around 30mg of ginger root boiled in just over a cup of water for about ten to fifteen minutes, let it cool a touch and then drink. You could even throw a bit of honey in there to sweeten the beverage. We have already mentioned ginger once in this how-to guide of getting through morning sickness, but we feel that it deserves its own section. Ginger is one of the best tools that you can have at your disposal when it comes to morning sickness, and you will be surprised at how well it can work. Ginger teas are a great idea, as well as ginger snap biscuits, ginger ale left to fizzle at room temperature for a little while, and even ginger sweets can help. Give them a go – they can even help with the odd bout of indigestion if you have nothing else to hand. If you are going to use the ginger ale method – make sure that you let it go flat. The fizz in fizzy drinks will agitate your stomach and can cause heartburn. When you are already nauseous, this is the last thing that you are going to want. There have been studies that have shown a very positive link between vitamin B and morning sickness. According to the study, those women that took 25mg supplements of vitamin B6 for three days – three tablets a day, had a significantly reduced amount of the symptoms associated with the earlier stages of pregnancy, including morning sickness. You should always have a chat with your doctor or midwife before you start giving yourself supplement advice however – too much of something can be just as bad as not enough. It should go without saying but unfortunately, it doesn’t. Pregnant women are not drinking enough water and you must remember that you need hydration for two now. Studies have also shown that women that drink more water also have reduced morning sickness – this could be the simplest home remedy for morning sickness out there! You do need to take into account all that extra peeing however, especially if you are already running to the bathroom every thirty seconds as it is. Sticking with the water theme, lemon has been shown to lead to reduced morning sickness so maybe trying infusing your water with a slice of lemon to give yourself an added boost.